Colorful Dior booties from the Fall/Winter 2014 Collection. 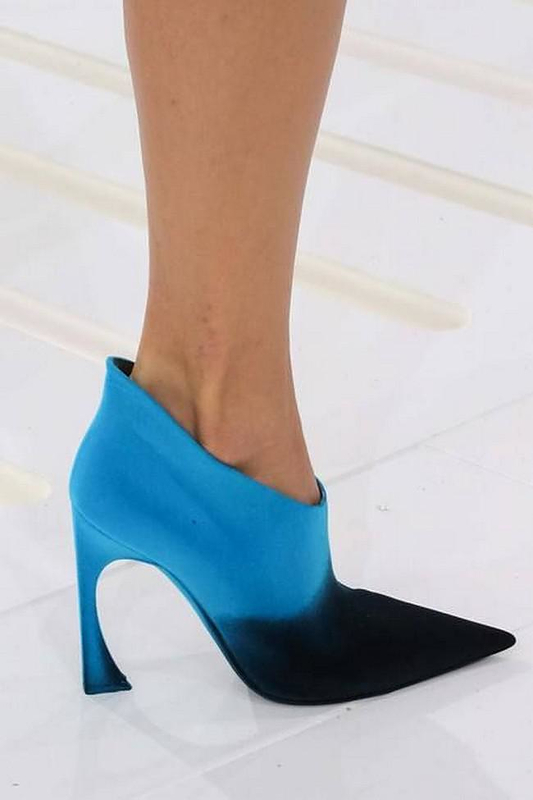 Many interesting shoe designs made their appearance on the runaway of Paris Fashion Week 2014-2105, but our favorite design were the pointy tip colorful Dior Booties part of the Dior Fall/Winter 2014 collection. 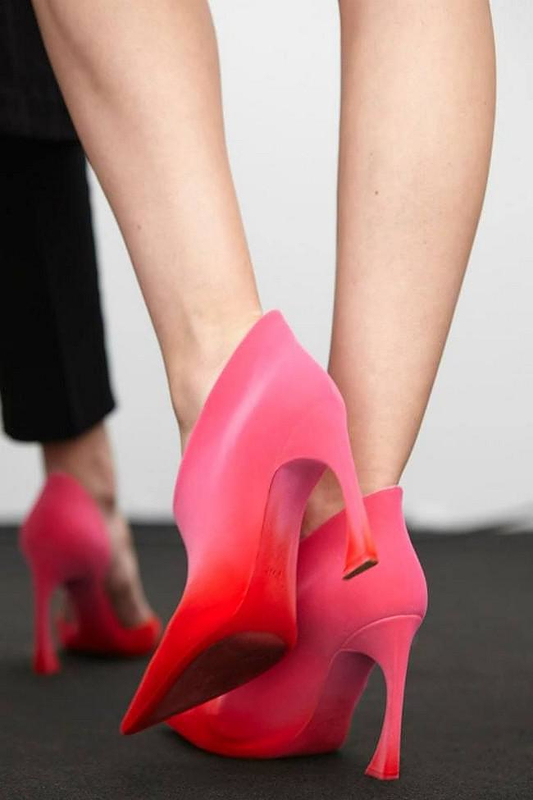 During Dior’s show at the Paris Fashion Week that took place this month the shoes that drew most of the attention were very sports influenced, bulky, sneaker inspired heels with vivid contrasts and Dior’s logo carved on the outside. However as we prefer more understated designs, our attention was drawn to the minimalist colorful Dior Booties with the streamlined form. The Dior woman is as always, feminine, elegant and sharp, the design language of these new Dior Booties definitely reflects that image. 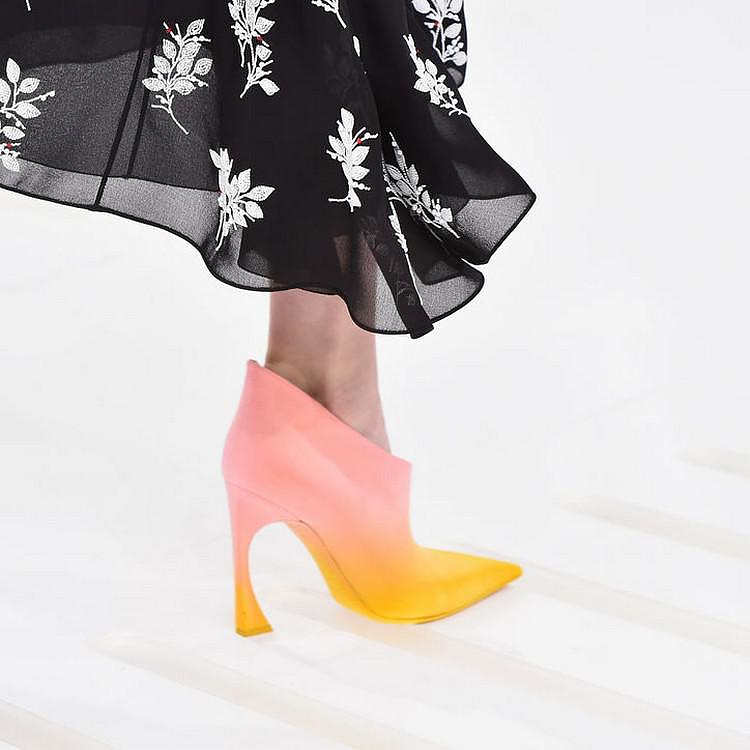 They feature high heels and the characteristic curve between heel and arch that defined Dior’s latest collections, with pops of colors, pale pink, fuchsia, royal blue, emerald, yellow and red. With a design that looks like it took from out of a single line, these high heel booties by Dior seem to be totally seamless. Designed by Dior’s creative director Raf Simons they are surely among the most elegant women’s shoes for this season.